Though many tend to think of Tuscany as a single entity, this region in central Italy is both vast and varied. From the rugged Apennine mountains to the romantic rolling hills of the Val D'Orcia, from the stark moonscape of the Crete Senesi to the lush vineyards of Chianti, just an hour or two drive in any direction opens up a completely new landscape, often with a unique culture and history behind it. 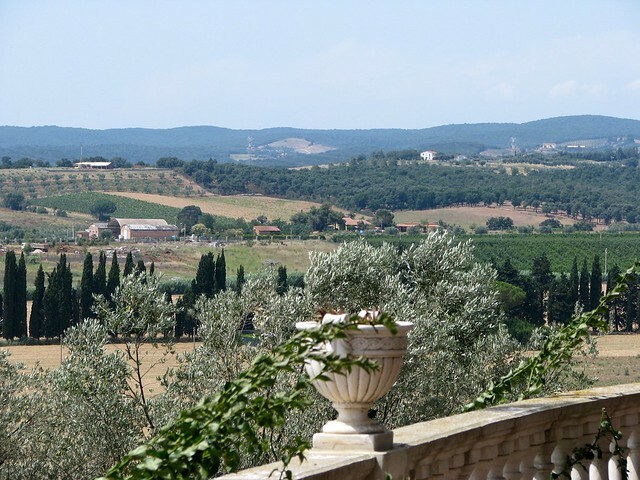 One of the most interesting areas of Tuscany is also one of its least well-known: La Maremma. Stretching along the Tyrrhenian coastline in southwestern Tuscany and over the border into Lazio, La Maremma includes long beaches (some of which are in protected natural areas), a picturesque plain which had been uninhabitable marshland but was settled after being drained during the beginning of the century, and hills topped with charming Medieval villages. Grosseto can be considered the capital city of Maremma, but the smaller towns are those worth exploring. 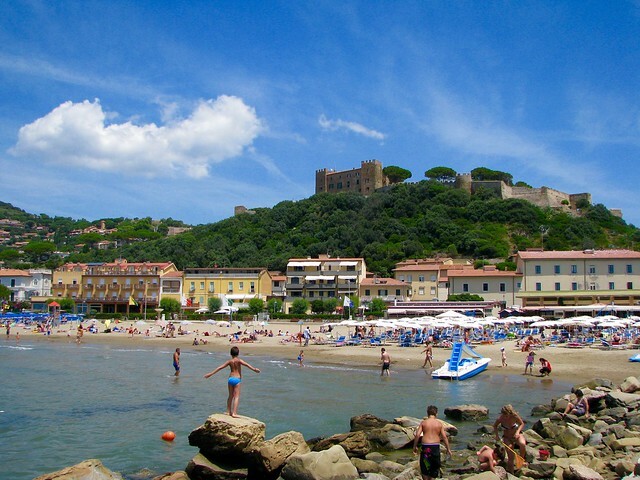 Castiglione della Pescaia is a seaside resort town with a pretty historic center built atop a low hill right over the sea. With views of the Elba and Giglio islands and the lovely Punta Ala beach nearby, this is a perfect destination for a day at the seaside. 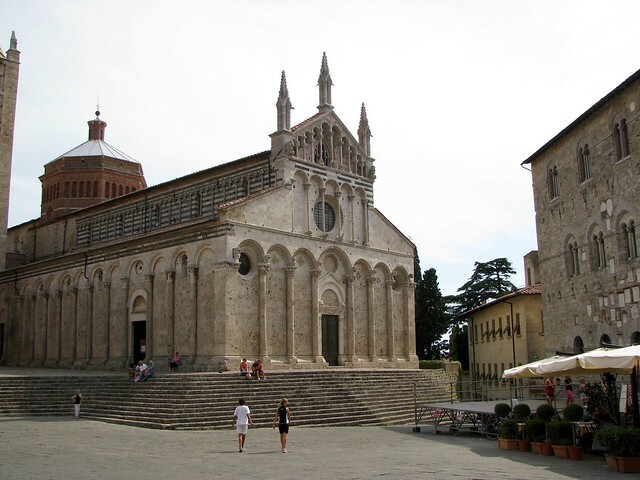 A bit further north and slightly inland, the quietly elegant town of Massa Marittima reminds visitors that they are still in Tuscany, with the postcard-perfect square, charming Medieval center, and soaring Pisan-Romanesque cathedral. 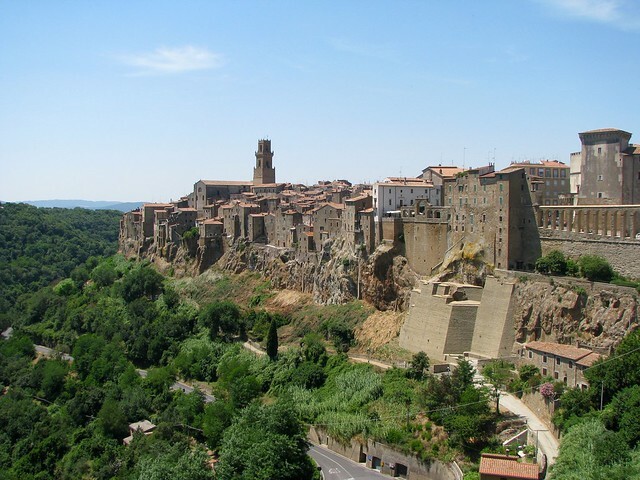 Further inland, the hilltowns of Scansano and Pitigliano both have picturesque centers and lovely views; Scansano is known for its local wine production, and Pitigliano for its Etruscan roots and ruins, and history as home to one of Italy's most vibrant Jewish communities. Near Pitigliano, the villages of Sorano and Sovana also have interesting Etruscan remains, including a series of roads dug into the tufa stone known as the Vie Cave. 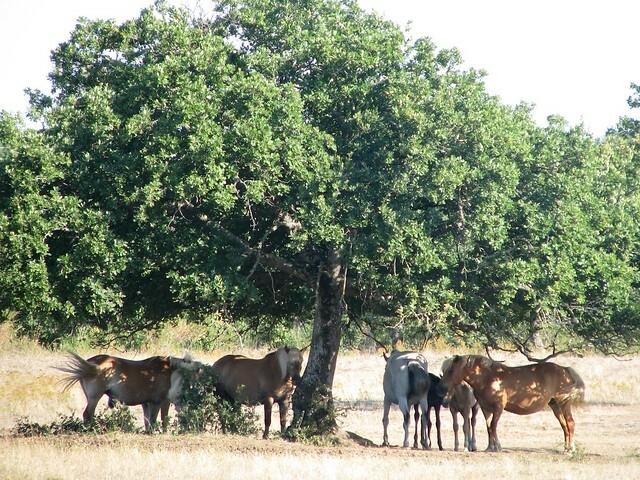 There are a number of natural reserves and parks in the Maremma, which host a variety of wildlife and unspoilt scenery. The most visited is Monte Argentario, an “almost island” attached to the mainland by three long, narrow fingers of land, known for its dramatic craggy coastline and small, lovely beaches, its diving and snorkeling offshore, and the WWF wildlife refuge encompassing the Ortobello lagoon between the island and the mainland, which is a busy haven for migrating birds. The island's two villages, Porto Santo Stefano and Porto Ercole, bustle with a festive resort town air during the summer months. One of the most unique spots in all of Tuscany, if not all of Italy, is in the Maremma Regional Park, which covers a vast stretch of land along the coast between Grosseto and Monte Argentario, including a government-run ranch known as Alberese. This former marshland was reclaimed over a century ago and used by local ranchers to raise cattle and horses, herded by “butteri”, or Tuscan cowboys. 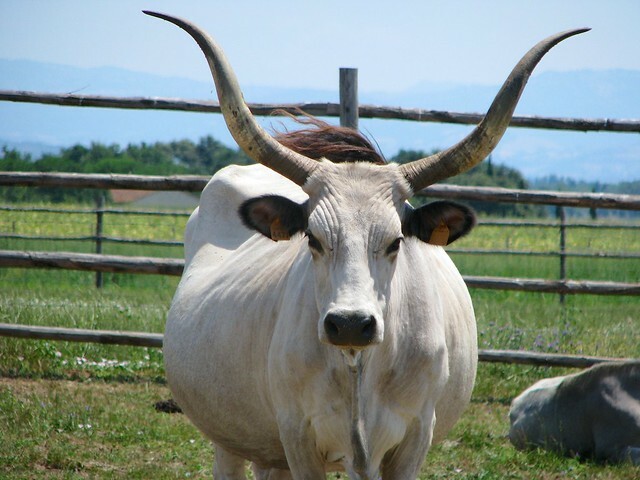 Today, the last surviving butteri work exclusively here and travelers can visit the ranch, watch the butteri work on horseback with their distinctive overcoats and sticks, and sample the organic produce and meat sold at the ranch's store. 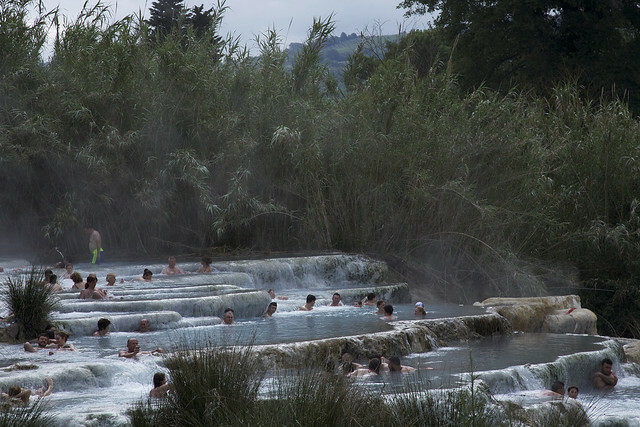 Tuscany is full of natural hot springs, and Italians love to “take the waters” for both health and relaxation. One of Italy's most important thermal baths is in the town of Saturnia, where you can either book into the high-end spa to soak in thermal waters with the amenities of showers, massages, and excellent restaurants, or you can head to the free and public Cascate del Mulino, a series of thermal-fed waterfalls and pools carved into the travertine hillside with water at a constant 37°C. You can dedicate the entire day to soaking your cares away, or stop for a few hours and then continue on your discovery of La Maremma.